SO THAT’S WHAT AN EASY RUN IS SUPPOSED TO FEEL LIKE. But first, a quick recap of Saturday’s race. 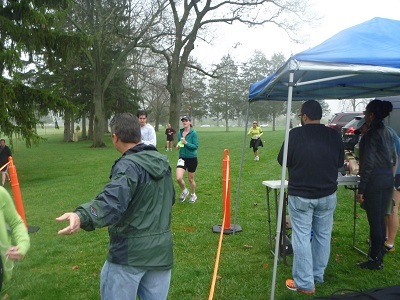 Around 200 runners showed up at the No Frills All Thrills 5 Mile Trail Run at Hudson Meadows Metropark in Brighton. They weren’t kidding about the “no frills” part – the race was clock timed (*) and the swag was either a bag or neon-colored gloves (I got the green ones). And it was wet and a bit rainy, hinting at a slippery and muddy trail. The result? I had a blast, and look forward to doing it again next year. I had done a practice run (a trail trial?) the week before, so I had a general idea of what to expect. My strategy was a bit unorthodox – run a fast first mile before the uphills, slower but steady for the middle three, then hit it hard the final mile regardless of terrain. And that’s how it went, though at the end it was all I could do to hold my pace rather than sprint to the finish line. Tonight’s assignment was 5 miles easy, an 8:40 to 9:10 per mile pace. Now, I have this unfortunate habit of doing easy runs too fast. Last Tuesday, for example, my “5 miles easy” was around a 7:40 pace, not 8:40. 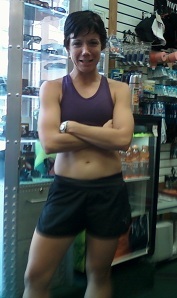 (I couldn’t help it; the weather was fabulous, I felt great, and, well, running slowly is boring.) But tonight, based on Wednesday’s assigned speedwork and an article that explained why easy and recovery runs need to be slow, I checked my ego and ran at my assigned pace. Discovery! It felt smooth and effortless the entire way. No need to breathe hard, no discomfort. Maybe I should be doing all my slow runs this way? Uh, Jeff, isn't that what I've been telling you for,...oh, I don't know...since THE EARTH WAS FORMED???? Sorry, Coach, sometimes the message takes a while to get through my thick skull. But a photon can take a million years to exit the sun. Cut me some slack here! 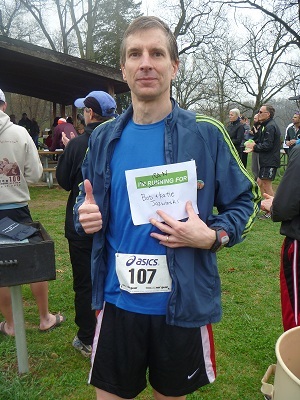 (*) As opposed to chip timed, in which a sensor records the time you cross the start line and finish line. Clock timing uses only the time on the clock when you cross the finish line, no matter how far back in the pack you started. So runners with time goals need to start near the front. No big deal for a smaller race.